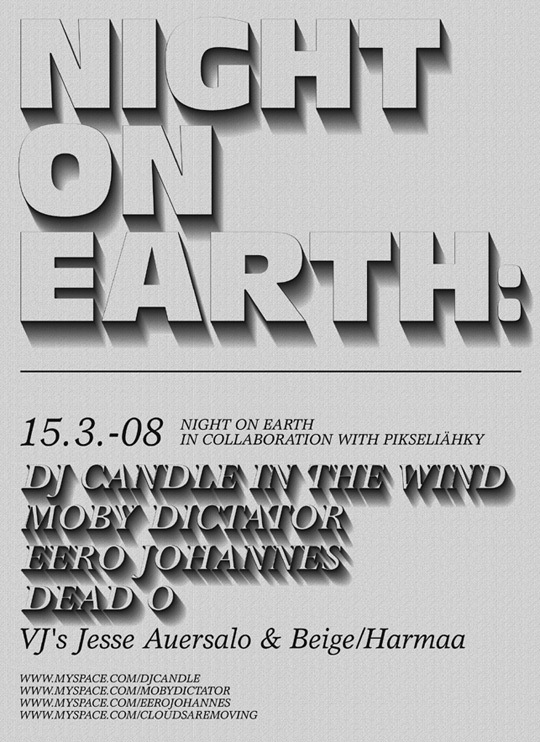 Night on Earth is series of exhibitions and club events in Berlin, Helsinki and Shanghai. The launch event of the Night on Earth is organised in collaboration with Pixelache, the main events will be organised later this year in Berlin + Helsinki + Shanghai. Eero Johannes (FI) - electronic funk / skweee!